"Oh, I can do a backflip!" Talk about personality! This was one of the most fun graduation sessions I've ever done. He was honestly down for whatever, "Oh, I can do a backflip!" "Hey, can I hang from this bridge?!" And then in two seconds he can turn on that charming smile. Honestly, Chay is one of those people that you like the instant you meet him because of that warm smile and funny personality. If you've ever met Sydney, then you've met one of the absolute sweetest and kind-hearted people there have ever been. I'm not just saying that because she's my little cousin, but because it's true! Sydney, I know without a doubt that you will be successful at whatever you do. But, most importantly I know that because of the way you love, the way you give, and the way that you help you will be far more successful than most. I'm so proud that I get to be part of your life and witness all that you will do. 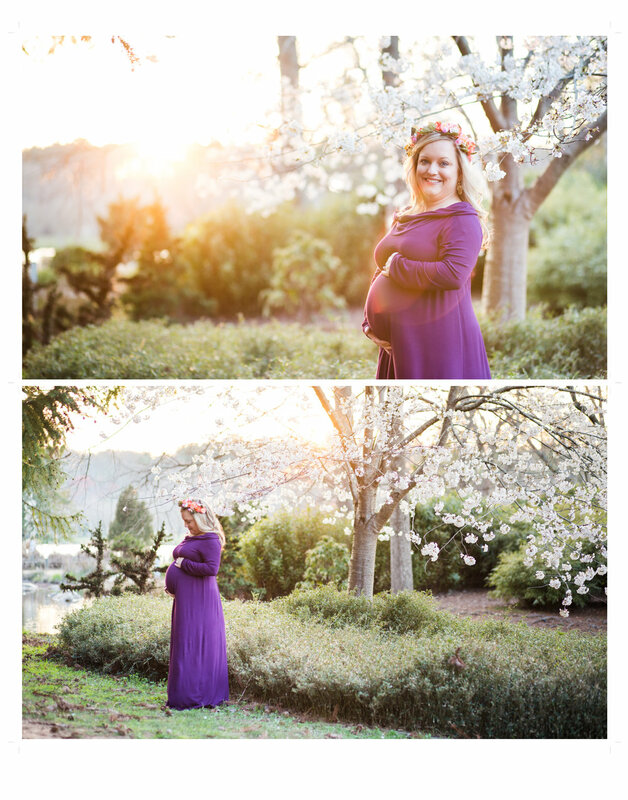 I had the privilege to work with this sweet girl's mother for several years (before I transitioned from a steady 9-5 and decided to stay at home and start a photography business)! When I got a message to schedule this graduation session, I was honestly speechless. I still remember her as the little girl trying out for Color Guard her very first year. And now...she's headed to USC and will be part of their Color Guard this Fall! But, I'm so happy for her! I'm so happy to see her dreams coming true and to see her hard work pay off. I love meeting all of these fabulous seniors! There is such an excitement about graduation - closing one chapter and starting a new one. I get to hear about their plans, their ambitions, their goals. It is all very refreshing to hear the victory in their voices as they explain what they have planned and how hard they have worked to get to this point. Love is always such a beautiful thing to witness. This April wedding honoring Lauren and Chris was full of love. Their families and friends gathered together to celebrate in an amazing location full of smiles and a beautiful sunset. Some days it's hard. As a single mom you juggle finding a balance between time with your daughter, work, and getting your Master's Degree. Some nights you cry and most days you pray. But, Dear Mama, you are making a big difference. Not just in your own life but in the life of a little girl who adores you. She sees how hard you work. She knows how much you love her. She sees you on your knees praying. Your village is strong and ready to help you. So, keep your head held high. Tonight, go to bed with a smile. Graduation is here and you've accomplished so much in such a short amount of time. Oh, those precious first birthday celebrations! The first year brings so many new and exciting experiences for each little one. First birthday sessions are no exception. Will they enjoy the cake? Can we get those precious baby steps on camera? How many teeth can we count? I pray the Lord blesses you with so many happily, married years. Your vows brought tears to my eyes and your smiles were contagious to everyone who witnessed your wedding. The day was light, heartfelt, loving, and showcased two beautiful people. Thank you for allowing me to capture this very special day. This is the first session from the studio :) Of course my own boys tested it out but to have a scheduled session take place for the FIRST time was honestly just awesome! Sweet Hunter is just two weeks old and loves to be swaddled. The second I placed him down to start the session he immediately smiled. Truly, that melted my heart. I'm so excited to welcome you into the newest addition of Eva Higgins Photography - the STUDIO!!! I know you are wondering - A studio for a "natural light photographer?" Why do I need a studio and what about my outdoor sessions?! No worries, outdoor sessions will continue to be my primary setting but I'm happy to have the demand for a studio. All of those precious newborn babies I get the opportunity to photograph need a place with consistent lighting and room for props. I'll also be able to offer a few mini-sessions and special Holiday sessions (look for Santa Sessions this Christmas)! 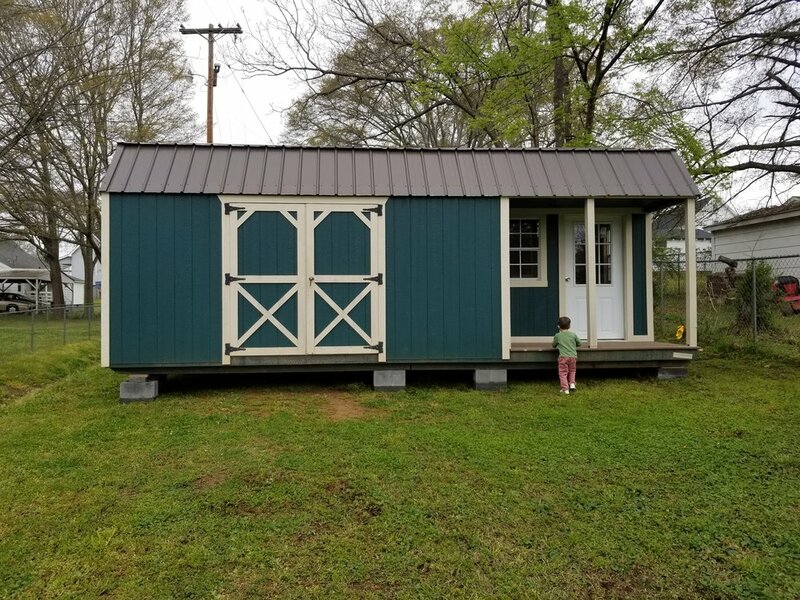 I looked for spaces to rent for about a year before I finally decided to purchase a 12x24 building. Yes, a storage building! Some thought I was crazy but I had a vision and I knew it would work. 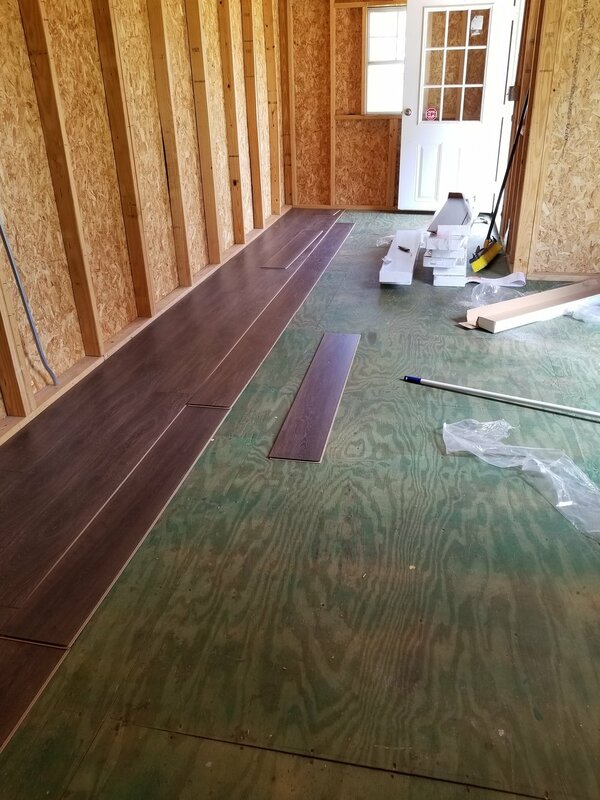 When it arrived it was literally just the shell - plywood floors, no electricity, studs...nothing! With the help of some amazing people, we have beautiful floors, bright walls, full power, lighting, and a fully functional space for creativity to blossom. Today is this due date of a sweet little boy whose family is very excited to meet him. He will be so blessed with such amazing parents and a darling big sister. 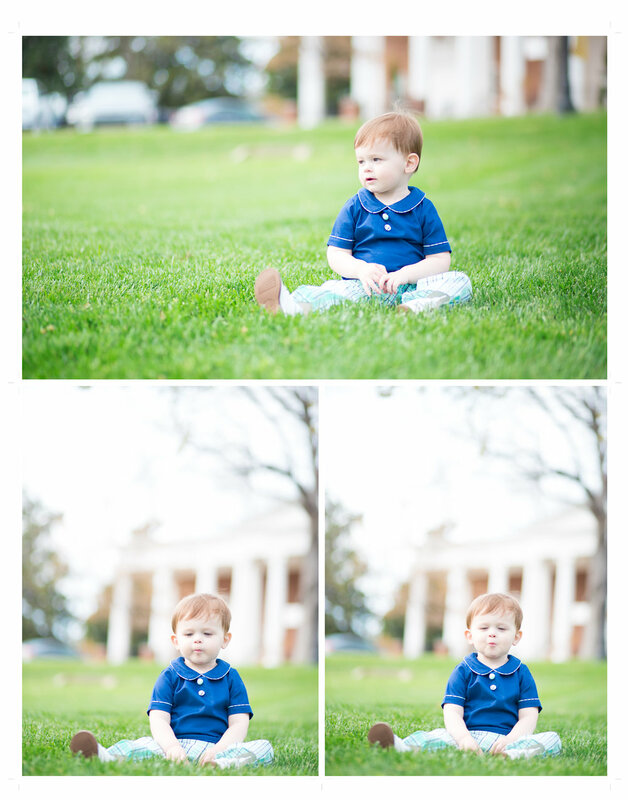 He dazzled the ladies who were out studying on the AU lawn - he brought flowers, leaves, and smiles all their way. He definitely made me smile as we raced, climbed, and enjoyed a few cookies! I know I've said it before but truly, you are more than just my clients. You are my friends, my family - we laugh together, smile, run, play, and sometimes cry together. So, when it is important to you, it is important to me. Like, finding out that there will be a third E baby! I am ecstatic to see this family grow and to help capture more moments like these. This session was SO.MUCH.FUN! I love college football season so when this adorable family wanted to do gear up in their Georgia jerseys and bring along the pups, I was definitely game.